Based in Toronto, Ontario Canada, Kengin Consulting Inc. provides mobile consulting services, currently specializing iPhone & iPad app design and development. We have been involved in enterprise software development for over ten years. 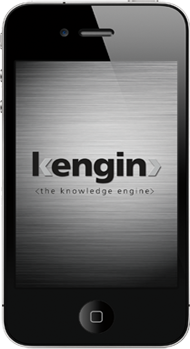 Since 2008, Kengin has been immersed in iPhone development and iPad development since it's release in 2010. Kengin can help make your apple mobile aspirations a reality via iTunes or Enterprise distribution avenues. We have vast experience in app design from both high impact media functional application process engineering perspectives. If you would like to see how Kengin could help you, please contact us at info@kengin.ca.